According to a 2010 study by NASA's Goddard Institute for Space Studies, "on-road transportation is and will be the greatest net contributor to atmospheric warming." Vehicle emissions are expected to remain No. 1 until at least the year 2050, when it is expected that "electric power generation overtakes road transportation as the biggest promoter of warming." The Center for Science and Democracy says that "transportation generates nearly 30% of America's global warming emissions." The average car sends six tons of carbon dioxide into the atmosphere, the Union of Concerned Scientists says. Biofuels, electricity, and hydrogen present possible alternatives to traditional gasoline, and major auto manufacturers like Ford (F) have supported these efforts with development of electric cars and "flexible-fuel" vehicles that can run on various blends of gasoline and biofuel. John Viera, Ford's global director of sustainability, told me that Ford has "invested billions in research and product innovation toward advanced fuel technologies" and wants "climate science to be our foundation to determine our CO2 targets for fuel economy and fuel sources from now into the next century." The push for more fuel-efficient autos and the increasing popularity of hybrids and all-electric cars, like the Tesla (TSLA) Model S, demonstrate a growing awareness of the need to reduce carbon emissions. Tesla is aiming to produce 35,000 vehicles this year and 100,000 in 2015, and it looks to be on track to meet or exceed those goals. With respect to electronics, attenuation -- referred to in the telecommunications industry as path loss -- is the deterioration in strength, or amplitude, of a signal resulting from its passage through or around various media -- terrain contours, walls, floors, the human body, and even moisture in the air. Conversely, satellite signals mostly deal with weather-related impediments. DirecTV (DTV) currently owns a fleet of 11 satellites that beam more than 150 HD channels to 39 million subscribers, according to the company's second-quarter report, and those satellites broadcast across a range of powerful frequencies to overcome adverse weather conditions. In May 2013, the Journal of Geophysical Research published a reportdescribing "an intriguing connection" between temperatures and the intensity of wireless signals in the atmosphere. Shortly thereafter, additional research concluded that global warming reduces the strength of long-wave communication signals. Simply put, greenhouse gases warm the lower atmosphere, but have an opposite effect higher up, which "contracts and descends into the atmosphere to where air is denser -- leading to ahigher absorption of radio waves." Since satellite TV and Internet signals are microwave radio frequencies beamed through these layers, excessive moisture in the air -- particularly heavy rain and storms -- can interrupt and even completely block signals. According to the International Journal of Image, Graphics and Signal Processing, or IJIGSP, "optical wireless links are highly weather dependent" and "are also influenced by atmospheric temperature." IJIGSP also statesthat "optical turbulence" and variations in temperature cause power fades that reduce the strength and effective distance of these wireless signals. Use of optical wireless communication technology is widely accepted as the best method for high-bandwith data transfer, but "has been hampered by the potential downtime of these lasercom systems in heavy, visibility-limiting weather," IJIGSP noted. Essentially, as global climate change results in more precipitation, more frequent and severe thunderstorms, and increasing average temperatures, the effectiveness of wireless signals will continue to be negatively affected. Increased costs to produce or provide products and services will eventually be passed on to consumers. As automakers are forced to comply with regulatory changes and legislation, the cost of research and development necessary to build environmentally friendly vehicles will ultimately result in higher prices. General Motors (GM) has reportedly invested in excess of $1 billion over the past few years to further development and manufacturing of lighter, more powerful, fuel-efficient engines. Ford reportedly invested $1.1 billion to retool an assembly plant in Kansas City, and $500 million to move a plant from Mexico to Ohio after adding a new flexible-engine assembly system. Similarly, if more powerful satellites and cellular antennae must be developed, or new technology devised for penetrating increasing atmospheric anomalies, expenses incurred will result in higher prices for services. In DirecTV's case, the company boasts "99% worry-free signal reliability," but also admits that severe weather occasionally interrupts signals. If the frequency of severe weather increases, DirecTV and its subscribers might suffer. According to the company's 2013 10-K, the value of its satellite fleet is $1.166 billion. Construction of several new satellites has been ongoing, with completion and launch dates ranging from the end of 2014 through 2016. DirecTV has already prepaid hundreds of millions of dollars in installments for these satellites, with nearly $1.3 billion still outstanding. As the planet gets hotter, more powerful hardware must be developed, purchased, and installed to maintain optimum network performance. So, in addition to the environmental consequences of climate change, global warming also negatively impacts telecommunications by interfering with wireless signal transmission. 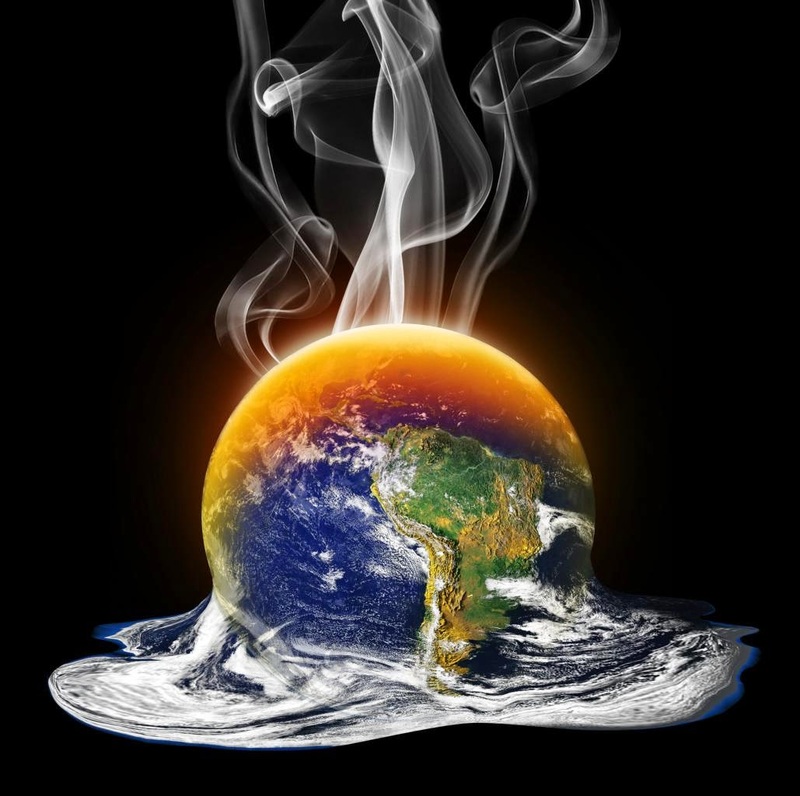 According to the scientific evidence, global warming will likely negatively impact telecommunications and Internet services for many years into the future. Since the automobile industry is the largest contributor to climate-changing pollutants, it's fair to say that pollution from transportation indirectly contributes to a decrease in the effectiveness of wireless and satellite signals, and possibly to future increases in the cost of services to both providers and end consumers. For investors, this issue won't cause any immediate or short-term impact on share prices. However, as the climate change problems get worse in the coming years, telecommunications companies will have to develop stronger satellites and signal transmission equipment to continue providing uninterrupted service. Also, new regulations are sure to follow as well; regulations may force automakers to change both manufacturing processes and vehicle engine equipment. Major players in both sectors could experience share price declines resulting from increased expenditures and unhappy customers.